The process can be stressful. A home inspection is supposed to give you peace of mind, but often has the opposite effect. You will be asked to absorb a lot of information in a short time. This often includes a written report, checklist, photographs, environmental reports and what the inspector himself says during the inspection. All this combined with the seller’s disclosure and what you notice yourself makes the experience even more overwhelming. Keep things in perspective. Do not kill your deal over things that do not matter. It is inappropriate to demand that a seller address deferred maintenance, conditions already listed on the seller’s disclosure or nit-picky items. We encourage your presence, particularly at the end of an inspection. We find this is an excellent opportunity for you to get a better feel for the home. At the end of our inspection, we will inform you of our findings. It is often difficult to fully convey certain information regarding a problem or concern through a written report. The ability to visually view specific problems is typically beneficial to the Buyer. The conversation during this review between the Inspector and Buyer often adds additional insights and understanding of the house. Don’t automatically blame the inspector. Sometimes things simply fail without warning. Have you ever gotten into your car in the morning and it would not start. It ran fine the day before. The same thing can apply to items in your home. If the inspector checks the temperatures of the air conditioner and they are within the normal range, he will note that the system was operating properly. The compressor could still fail later that day. Yes there are tests that may, in some cases, reveal that it is going to fail but these are beyond the scope of a home inspection. 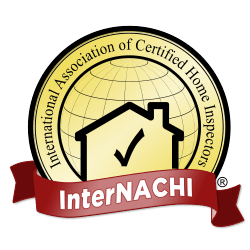 You will find that an experienced home inspector has a lot of knowledge about how things work and he may be able to help you solve the problem over the telephone. Sometimes it may be as simple as resetting the circuit breaker.